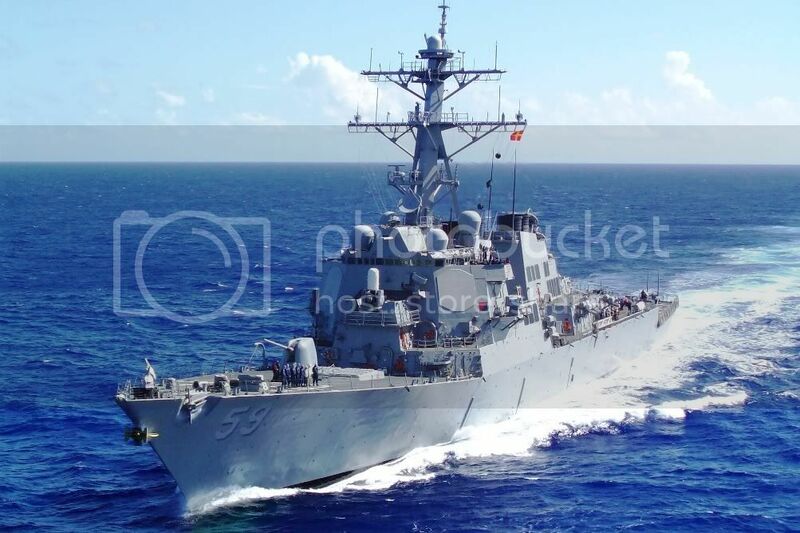 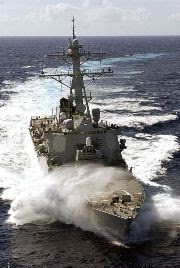 RUSSELL makes her approach alongside an oiler. 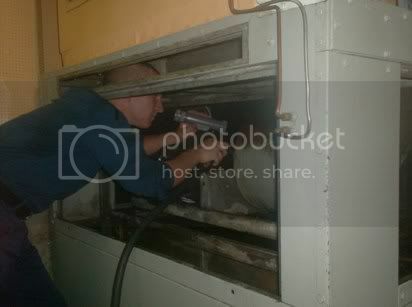 A Sailor cleans an air conditioning coil in preparation for hot weather. 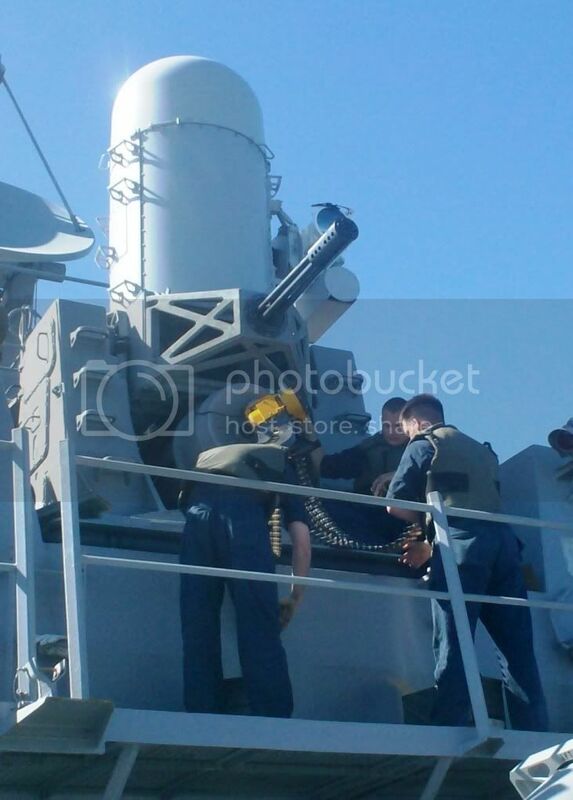 Fire Controlmen upload "war shots" into a CIWS mount.